On the “Autostrada del Brennero” A22 starting from both north and south - exit Chiusa. 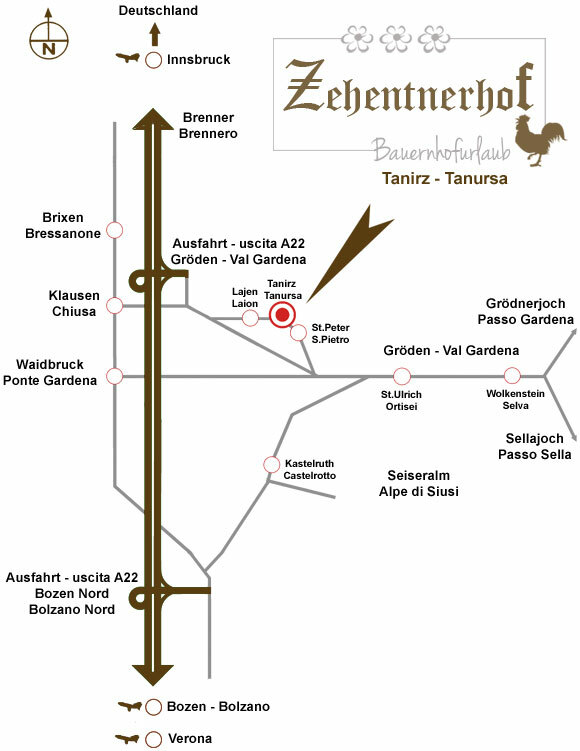 Take the main road to Val Gardena/Laion and then follow the signposting directing S.Pietro and after 2,5 km arrive to a small village named TANURZA, follow now the indication for Zehentnerhof. 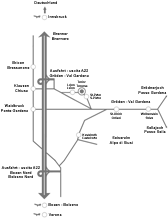 Upon request we can also come and pick you up directly at the train station in Bressanone. Please contact us for further information. If you want to leave your car at home, you can easily reach us by plane. The distance between our farmhouse in the Dolomites and the Airport of Bolzano is approximately 35 km. From Verona or Innsbruck you can easily reach us by train.